cake. Everyone thinks it's homemade from scratch. Nothing special except a few simple ingredients to dress up that mix and you will have them all asking for your recipe. 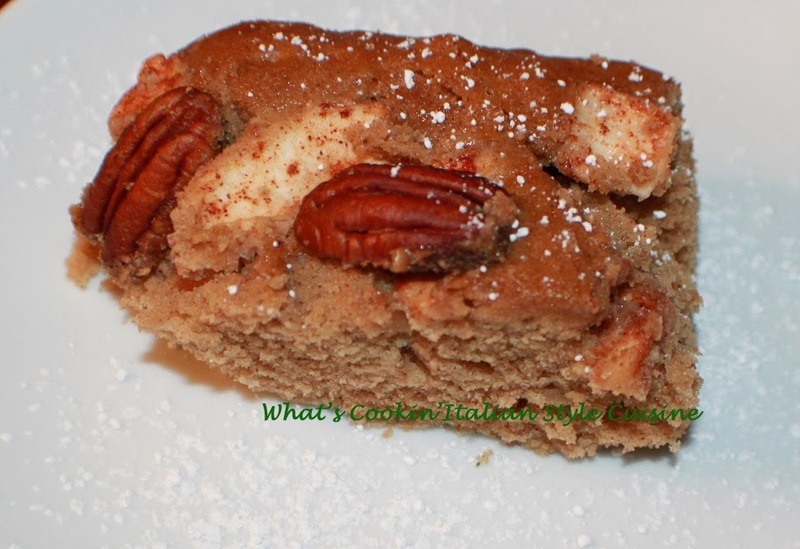 Here is a perfect coffee cake with apples and pecans that will wow your friends and family. I always feel guilty making a semi homemade cake that taste like it was from scratch! This cake is the perfect kind of moist coffee cake with that fall flavor of cinnamon and pecans. My go to recipe when I have unexpected guests! This cake freeze well you can make it, freeze it and have it on hand in no time! 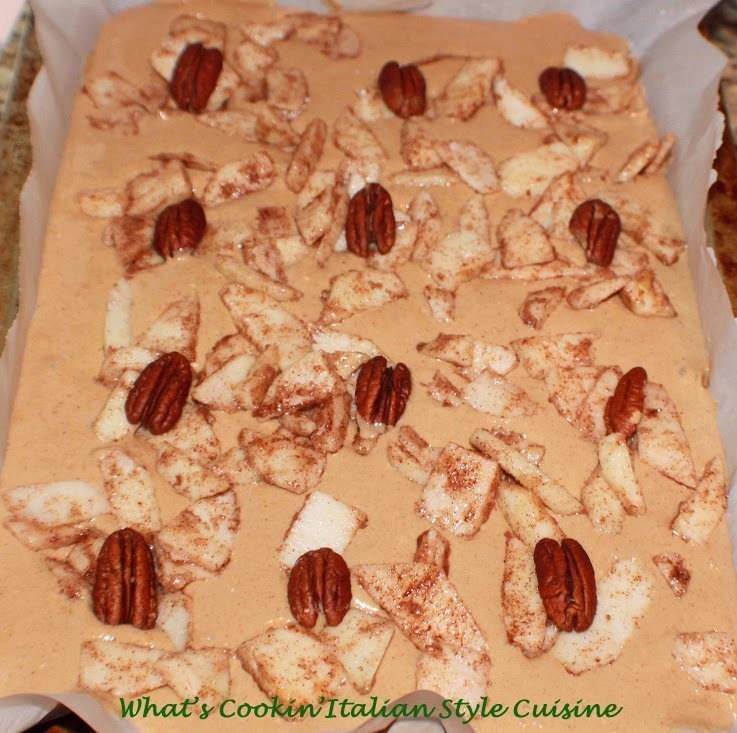 Easy semi homemade cake squares with fresh apples, pecans tossed in a sugar cinnamon. Check out this simple recipe that will be a big hit for any function. Mix the cake mix to package directions. Pour into a brownie sized pan lined with parchment or heavily greased. In another bowl place chopped apples, flour, cinnamon and sugar then toss all together. Evenly spread over the top of the batter. Place the pecans over where each square would be cut. Bake at 350 until the middle springs back or tooth pick comes out clean around 25 minutes. These can be served with whipped cream, with powdered sugar sprinkled or just plain. Perfect with any hot beverage!